We’ve been your trusted partner for 15 years, bringing Dell new and certified pre-owned products and services to our customers with unmatched precision and passion. At STI, we always want to bring our customers the best value, and our new services are no exception. Explore and learn more about each of our newest Kansas City data center amenities: Managed Backup, Colocation, and Dedicated Server Hosting. Protect your confidential files, reduce the risk of human error, and eliminate data loss with our off-site backup service. Our secure software will be installed on your server, which will remotely back up all your data to our highly-protected data center. We will work with you to find the best, flexible plan to fit all of your storage and backup needs and eliminate the obligation for traditional backup options. This service allows you to put your own physical equipment in our KC data center for a low monthly fee. 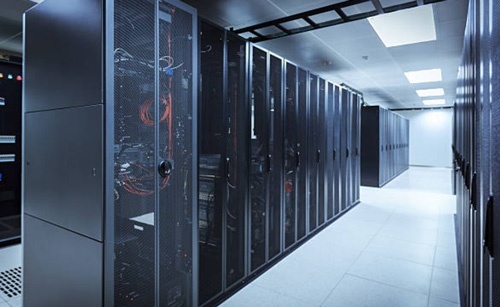 As a customer, you are able to lease a space for your server and gain access to all of our top-tier data center amenities (bandwidth, power, cooling, etc. ), all while retaining ownership of the machine. This guarantees that your server will be put online and will always be running at top performance. Achieve your budget and IT goals with our dedicated hosting service. Our servers allow you unmanaged access to our local and protected data center, with all the perks for a monthly fee. All servers can be remotely accessed and have numerous backup power options for worry-free, server-friendly hosting. If you would like more information on one of our services, or to request a quote, please provide us with some information below. An STI representative will get back to you as soon as we can!